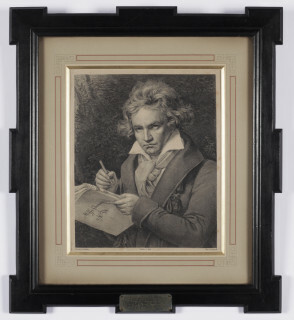 BEETHOVEN, LUDWIG VAN (1770-1827) – DÜRCK, FRIEDRICH (1809-1884). (Ludwig van Beethoven holding the autograph score of his “Missa Solemnis”). 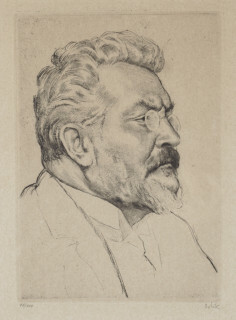 Lithograph after J.K. Stieler. Printed by J.A. Selb (Munich, after 1822). Ca. 28 x 23 cm. Behind passepartout & framed. EINSTEIN, ALBERT (1879-1955) – BIEBER, EMIL (1878-1963). 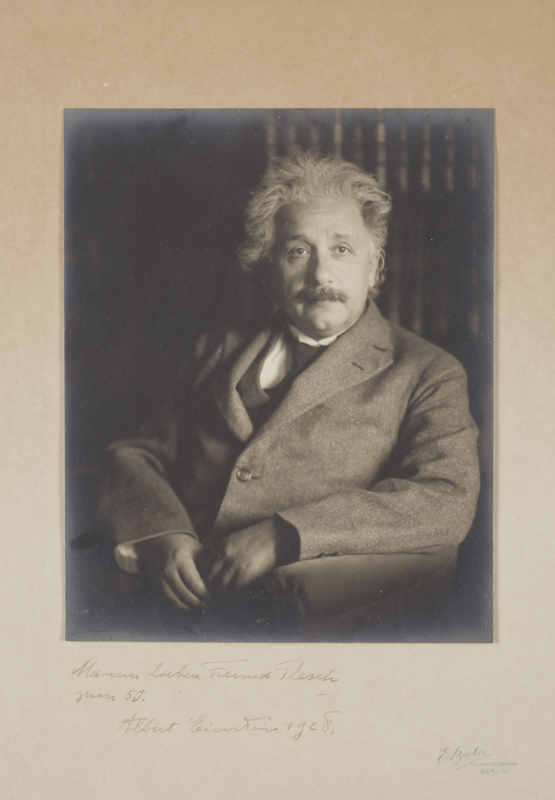 (Portrait of Albert Einstein). Original photograph (gelatin silver print) with blind-stamped signature “E Bieber” in lower left corner (& letterpress signature on the paper mount: “E Bieber/ Hofphotograph/ Berlin”). With SIGNED DEDICATION by ALBERT EINSTEIN (in black ink on the paper mount) to JÁNOS PLESCH: “Meinem lieben Freund Plesch/ zum 50./ Albert Einstein 1928”. Ca. 20,5 x 16,5 cm. Tipped onto a paper mount (ca. 37 x 27 cm.) & framed. 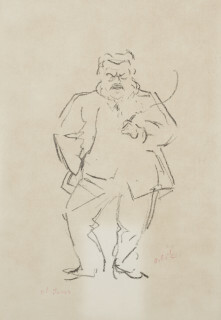 EINSTEIN, ALBERT (1879-1955) – PLESCH, JÁNOS (1878-1957). 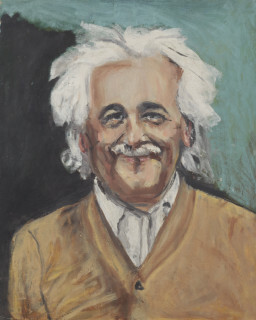 (Portrait of Albert Einstein). Oil on linen (mounted onto boards). Ca. 40,5 x 33 cm. GAUL, AUGUST (1869-1921) – ORLIK, EMIL (1870-1932). 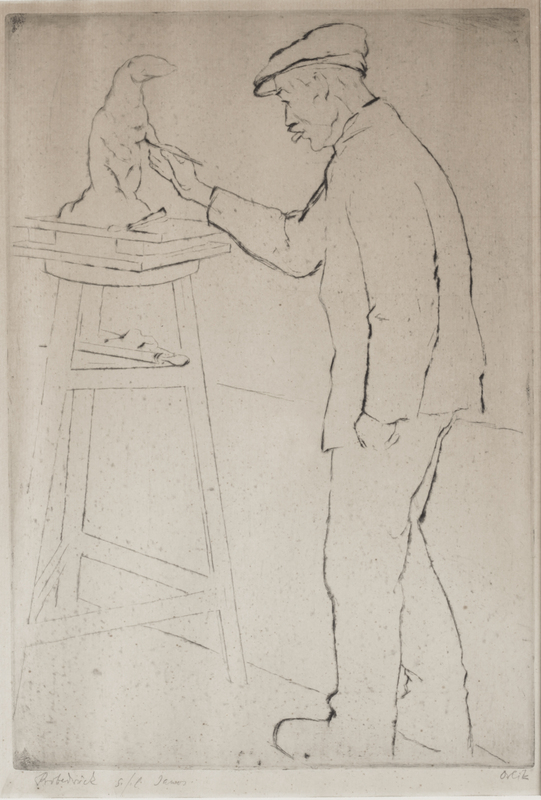 (Portrait of the German sculptor August Gaul modelling a common otter). 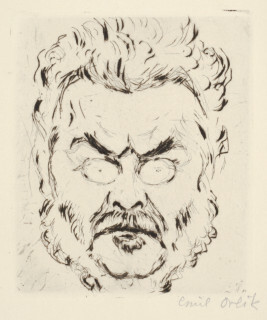 Etching (drypoint). Signed “Orlik” & “Probedrück s[amm]/l[ung] Janos” in pencil. Ca. 33 x 23 cm. Behind passepartout & framed. HEUSDEN, W.B. 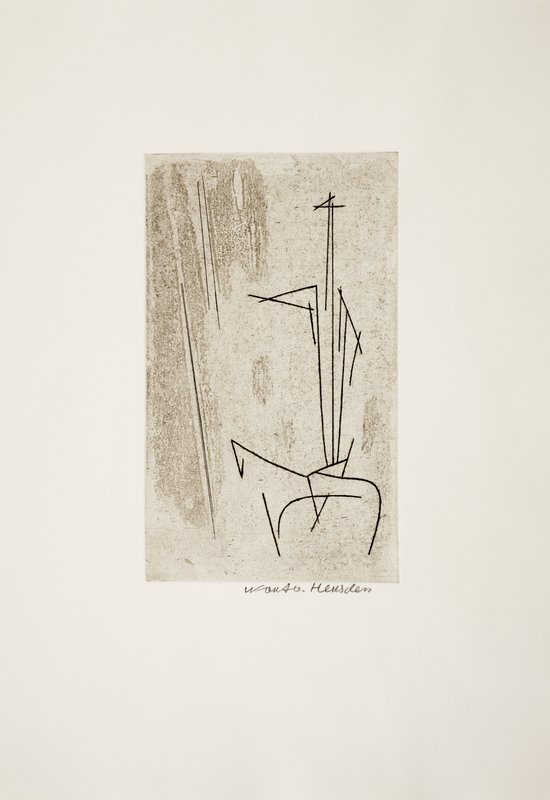 (Wout) VAN (1896-1982) – REDEKER, H. [introd.]. Wout van Heusden. Amsterdam, Printshop, 1977, consisting of 2 letterpress leaves (resp. 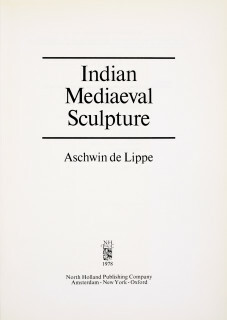 title & introduction, printed on recto only) and 10 ORIGINAL ETCHINGS by WOUT VAN HEUSDEN (various sizes, all signed in pencil). Folio, loose as issued in the orig. cloth box. ORLIK, EMIL (1870-1932) – WEISS, H.M. Li. 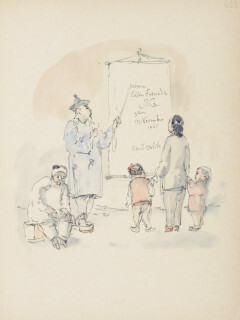 [Acht chinesische Erzählungen]. 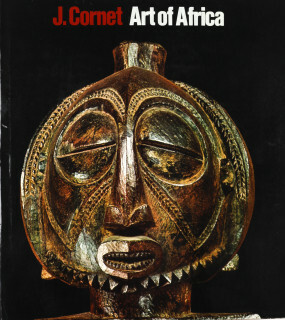 Berlin, Eigenbrödler Verlag, [ca. 1925], ,78, pp. With 5 ORIGINAL ETCHINGS by EMIL ORLIK (all signed in pencil, various sizes) & 24 plates (of which 7 col.) after Emil Orlik. Large 8vo, orig. dec. gilt cloth (des. 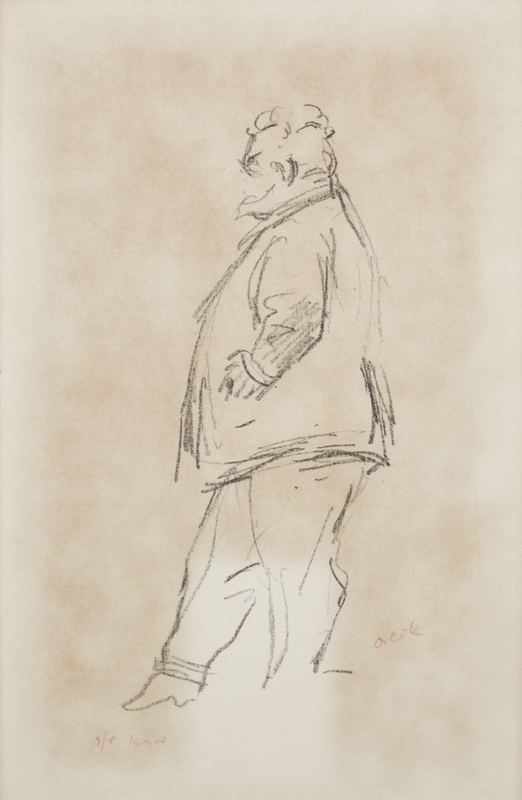 by Emil Orlik), top edge gilt. ORLIK, EMIL (1870-1932). 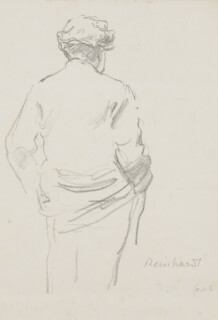 (Max Reinhardt seen from the back). ORIGINAL DRAWING in pencil. 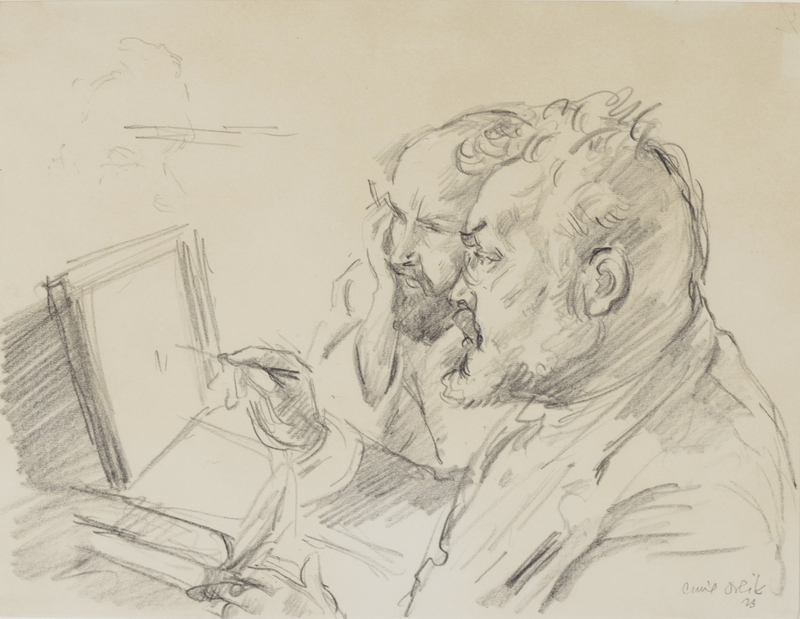 Signed “Orlik”, titled “Reinhardt” & “2/3” in pencil. Ca. 28 x 26 cm. Behind passepartout. ORLIK, EMIL (1870-1932). 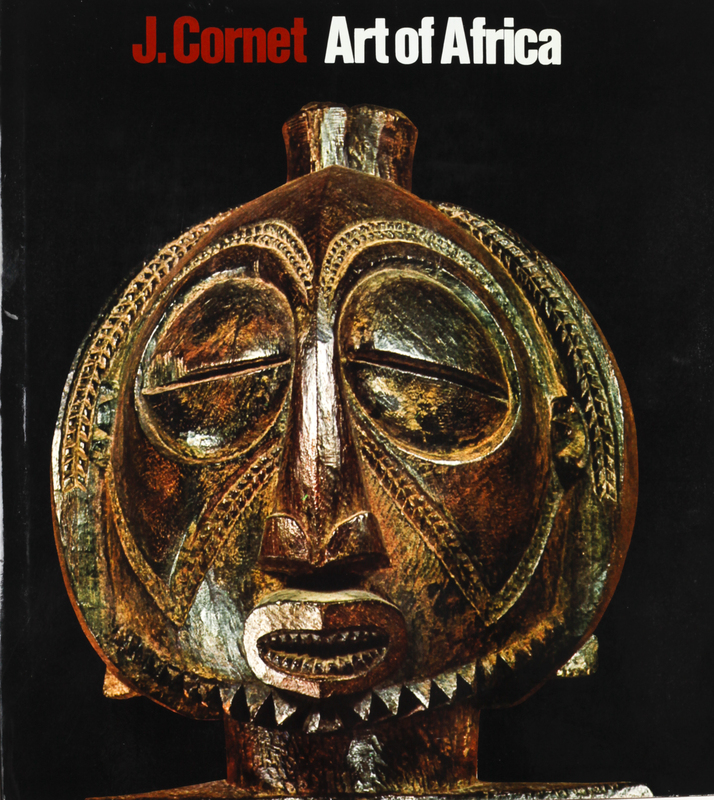 (Portrait of Conrad Ansorge). Etching. Signed “Orlik”, dated “15” & “2 Zustand” in pencil. Ca. 30 x 20 cm. (image) & ca. 37 x 28,5 cm. (leaf). Behind passepartout. ORLIK, EMIL (1870-1932). 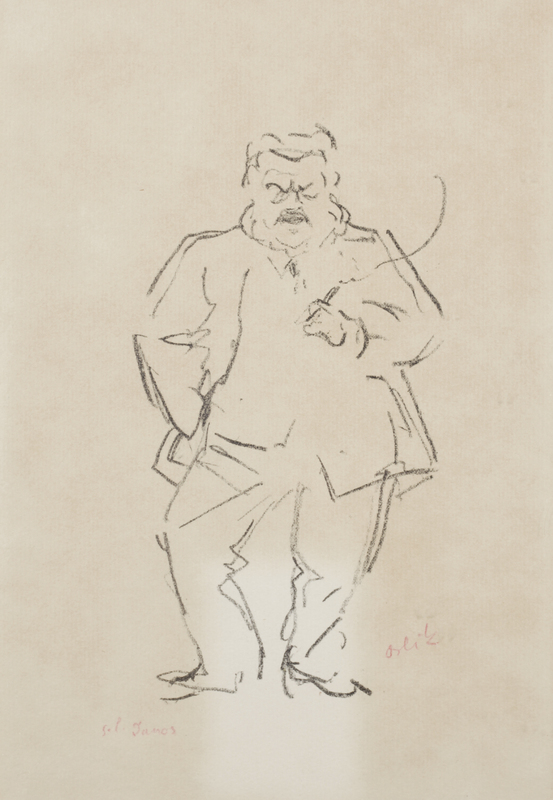 (Portrait of Max Slevogt holding a cigar). Lithograph. Signed “Orlik” & “s[amm].l[ung]. Janos” in red pencil. Ca. 18 x 10 cm. (image) & ca. 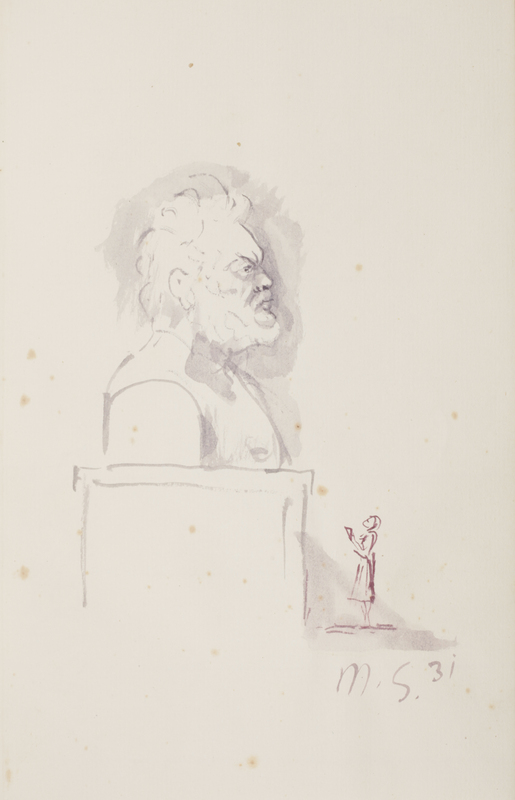 28,5 x 19 cm. (leaf). Framed. ORLIK, EMIL (1870-1932). 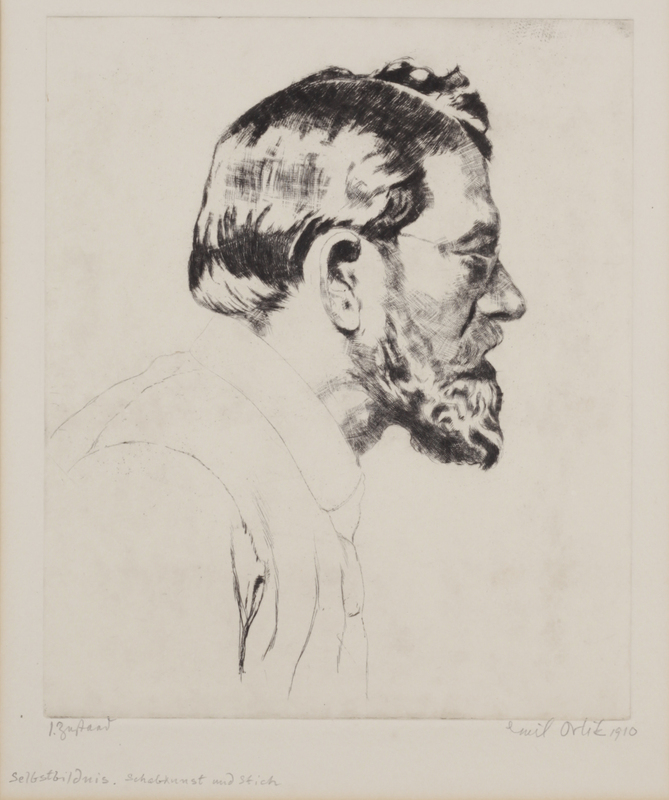 (Portrait of Max Slevogt in profile). Lithograph. 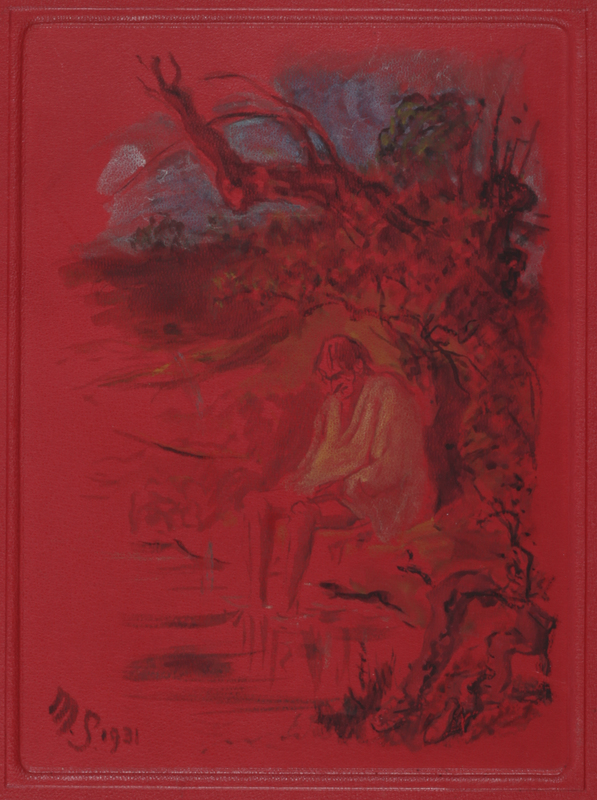 Signed “Orlik” & “s[amm]/l[ung] Janos” in red pencil. Ca. 20 x 9 cm. (image) & ca. 28,5 x 19 cm. (leaf). Framed. ORLIK, EMIL (1870-1932). 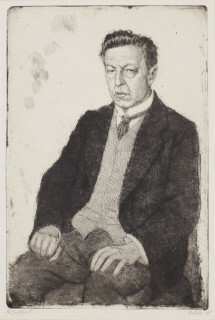 (Portrait of Max Slevogt). 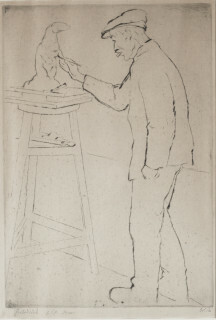 Etching. Numbered “66/100” & signed “Orlik” in pencil. Ca. 21 x 15 cm. Behind passepartout & framed. ORLIK, EMIL (1870-1932). (Portrait of Mrs M.L. Beytagh in profile). 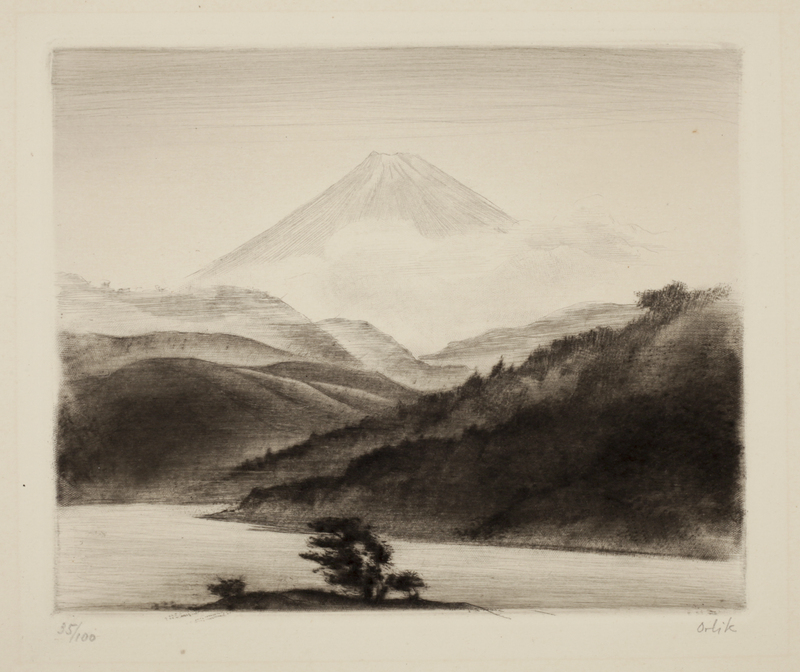 Etching (drypoint printed on Japanese paper). Signed “Emil Orlik” in pencil (with an illegible note in pencil in a different hand in lower left corner). (Publ. in 1915). Ca. 28,5 x 19,5 cm. (image) & ca. 37,5 x 27,5 cm. (leaf). Behind passepartout. ORLIK, EMIL (1870-1932). (Self-portrait). Etching. Signed “Emil Orlik”, dated “1910” & “1. Zustand” in pencil (with a note in pencil in a different hand: “Selbstbildnis. Schabkunst und Stich”). Ca. 25 x 21 cm. (image) & ca. 40 x 29,5 cm. (leaf). Behind passepartout. ORLIK, EMIL (1870-1932). 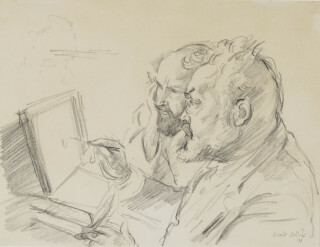 (The artist Max Slevogt at work in company of Dr. Josef Grünberg). ORIGINAL DRAWING in pencil. Signed “Emil Orlik” & dated “23” in lower right corner. Ca. 21 x 27,5 cm. Behind passepartout & framed. ORLIK, EMIL (1870-1932). Die Reise nach Japan. Zwölf Original-Radierungen. München, F. Bruckmann, 1921, consisting of an ETCHED TITLE (incorporating an index & a small view of a Japanese tree, signed in pencil by Orlik), 12 ORIGINAL ETCHINGS by EMIL ORLIK (all signed & numb. “35/100” in pencil, various sizes, under passepartout) and a letterpress colophon. Large 4to (ca. 37 x 30 cm. ), loose as issued in the orig. portfolio (paper over boards) with lithogr. 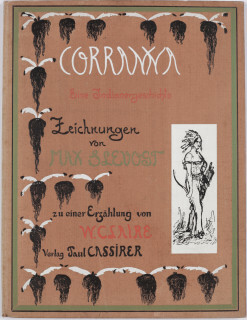 illustration by Orlik on upper cover & lithogr. title “Aus Aegypten” on backstrip. ORLIK, EMIL (1870-1932). 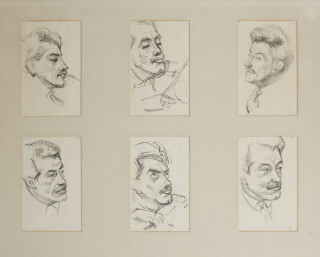 LOT of 6 ORIGINAL DRAWINGS in pencil, all portraits of the Austrian-born violinist & composer FRITZ KREISLER (1875-1962). All ca. 19 x 11,5 cm. Behind 1 passepartout & in 1 frame. ORLIK, EMIL (1870-1932). 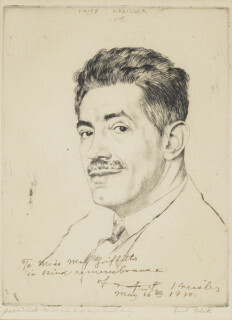 “Fritz Kreisler”. 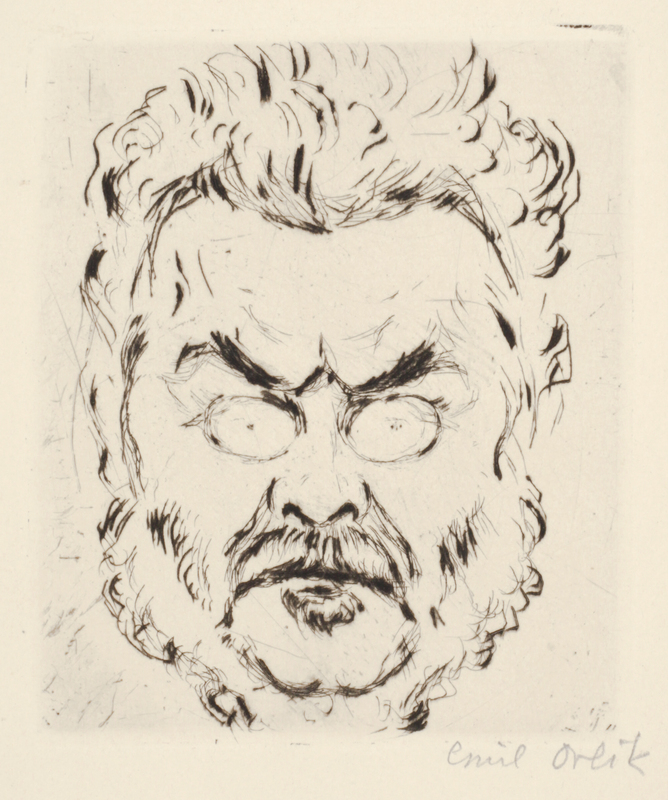 Etching (drypoint). Titled at top in the plate. 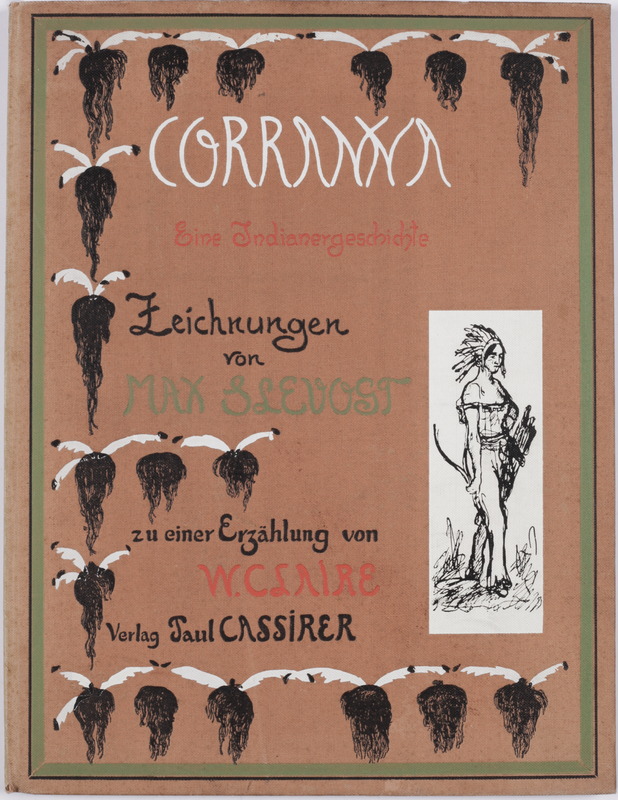 With SIGNED DEDICATION by EMIL ORLIK in pencil: “Probedrück. 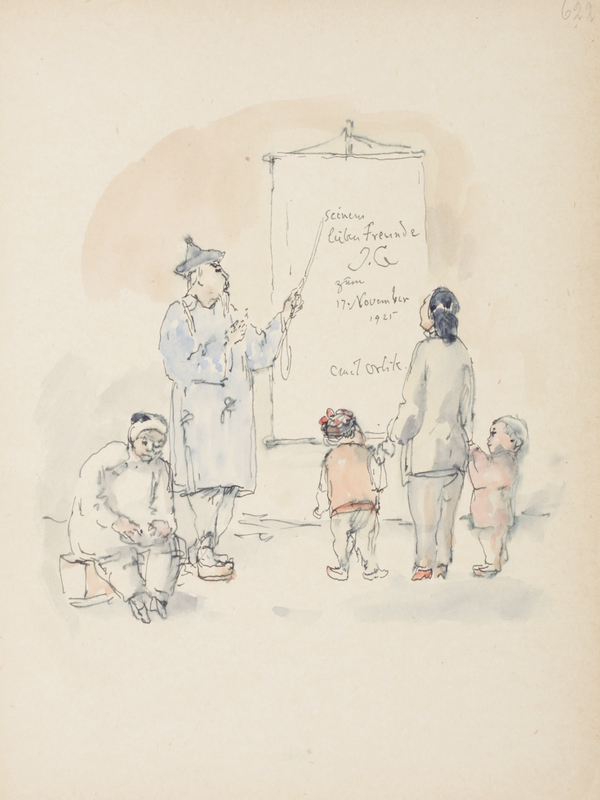 to Ms May Griffiths zür freundl[ichen]. Erin[nerun]g. Emil Orlik” and with SIGNED DEDICATION by FRITZ KREISLER in black ink (in the lower part of the image): “To Miss May Griffiths/ in kind remembrance/ of/ Fritz Kreisler/ May 16th 1930”. Ca. 24 x 18 cm. Behind passepartout & framed. 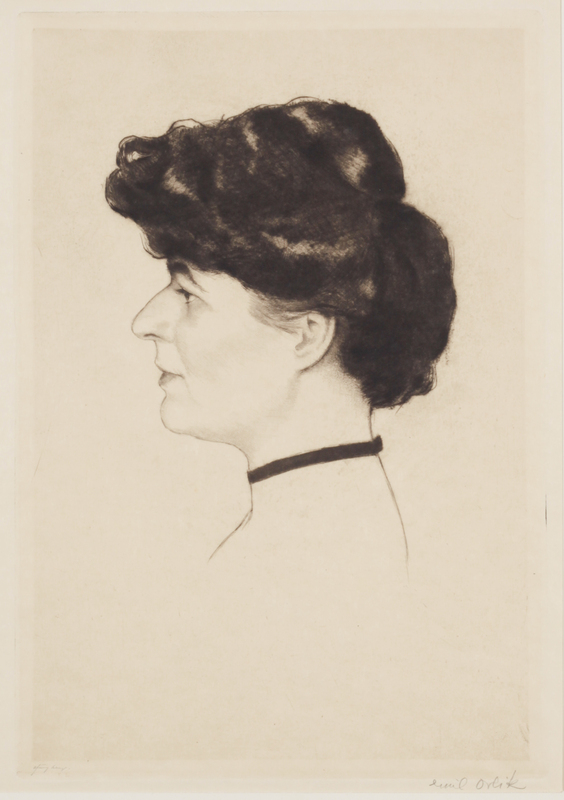 SLEVOGT, MAX (1868-1932) – CLAIRE, W. Coranna. 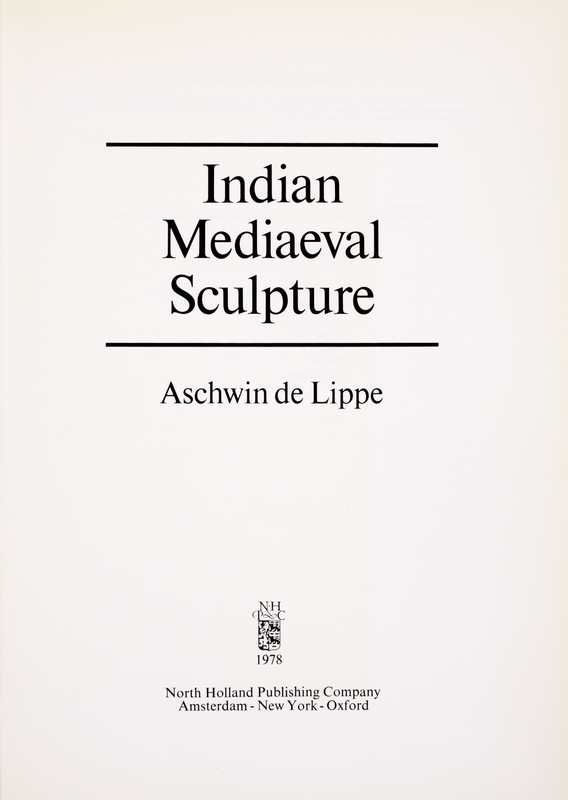 Eine Indianergeschichte. 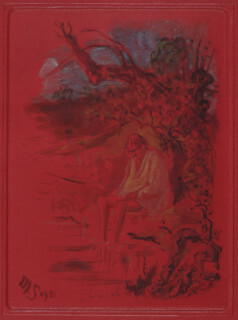 Berlin, Verlag von Paul Cassirer, , 66, pp. 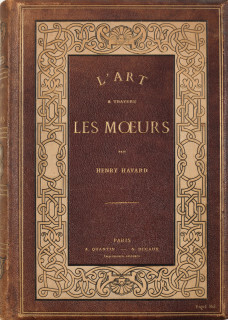 With col. frontispiece, title-vignette & 34 text-ills. 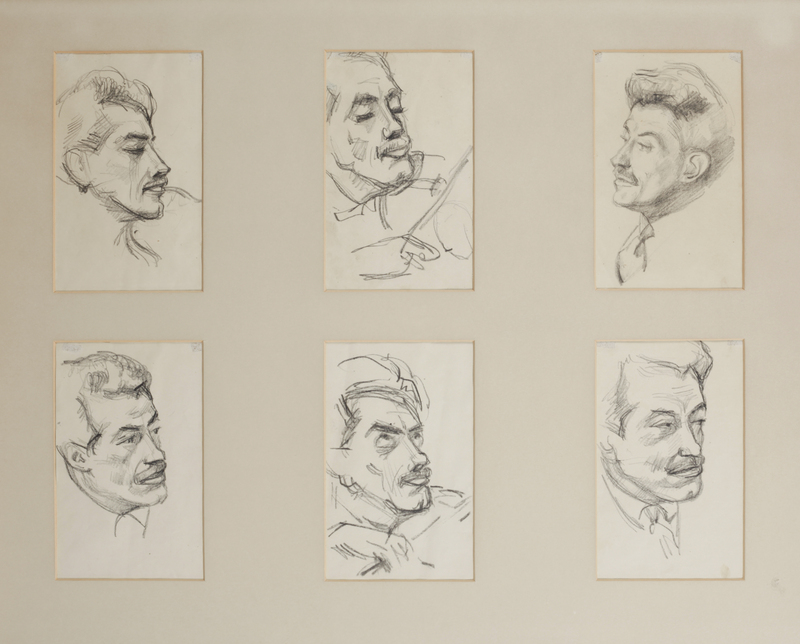 (of which 5 full-page) after Max Slevogt. 4to, orig. dec. cloth (des. by Max Slevogt). 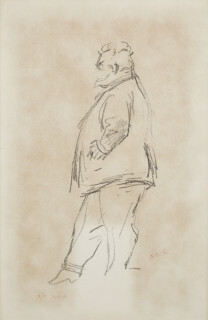 SLEVOGT, MAX (1868-1932) – ELIAS, J. Max Slevogt. 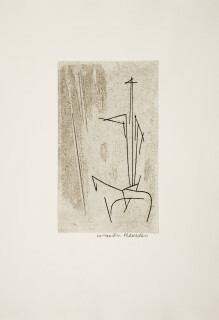 Berlin, Verlag Neue Kunsthandlung, 1922, 18 text-pp. & a colophon-leaf. With 1 ORIGINAL ETCHING by MAX SLEVOGT (signed & numb. “28/L” in pencil, ca. 12 x 9 cm.) 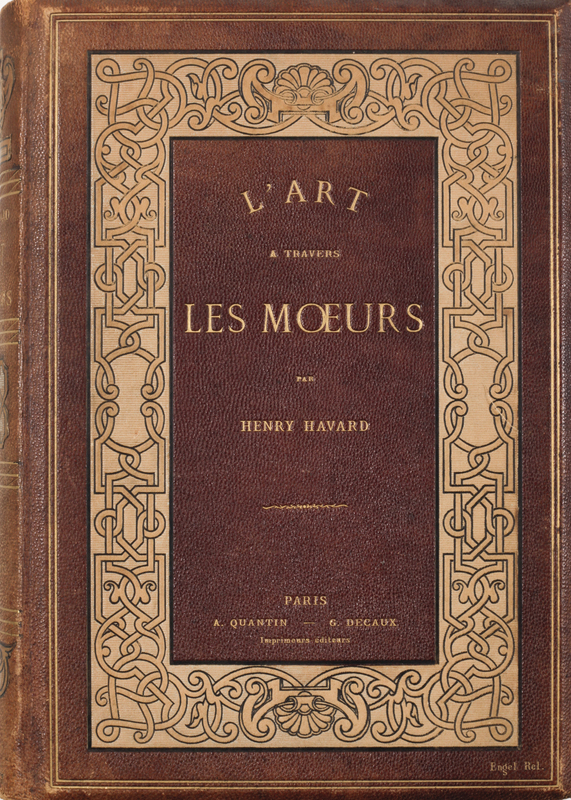 as frontispiece & 32 plain plates (numb. “19-50” as continuation of the pagination) after Max Slevogt. 8vo, orig. gilt(-lettered) green MOROCCO, top edge gilt.